The kids also have their piano! 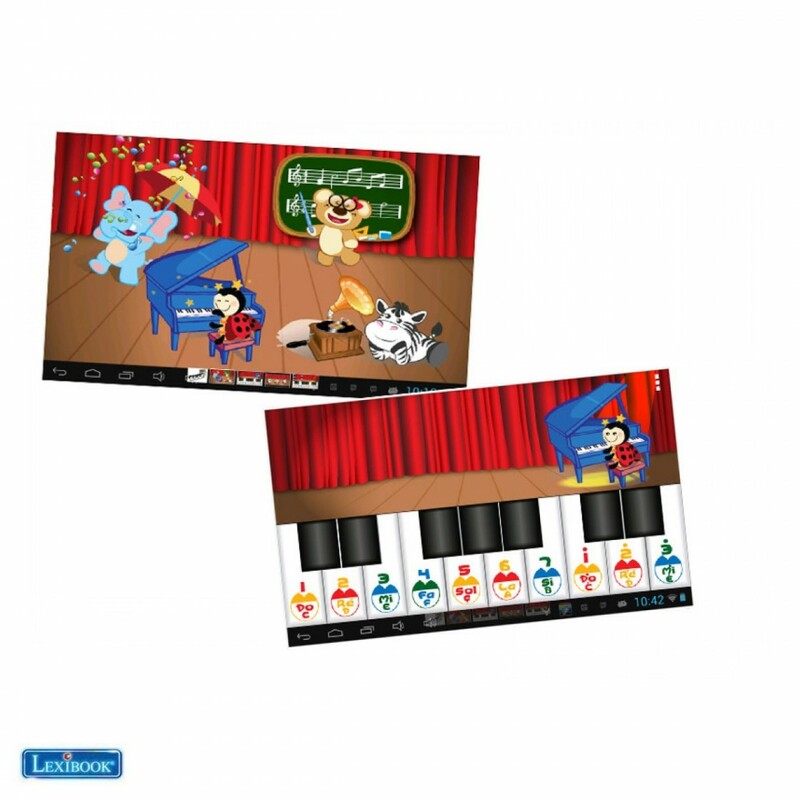 -Discover the joys of the piano with this roll-up keyboard that’s compatible with your Android™ tablet! Plug the piano into your tablet, launch the application and prepare to take the stage! - Free play mode: This mode lets you play freely. Change instrument, add a beat of your choice and record your own compositions! - Discovery mode: This mode allows you to discover 17 pop songs! Choose your favorite instrument and watch the notes appear on your tablet! -Learning mode: Choose one of the available melodies, select your favorite instrument and play the notes that appear on your tablet! -Playing mode: Apply what you learned in the previous modes. Choose an instrument and a melody, set a tempo and play the notes at the right moment! 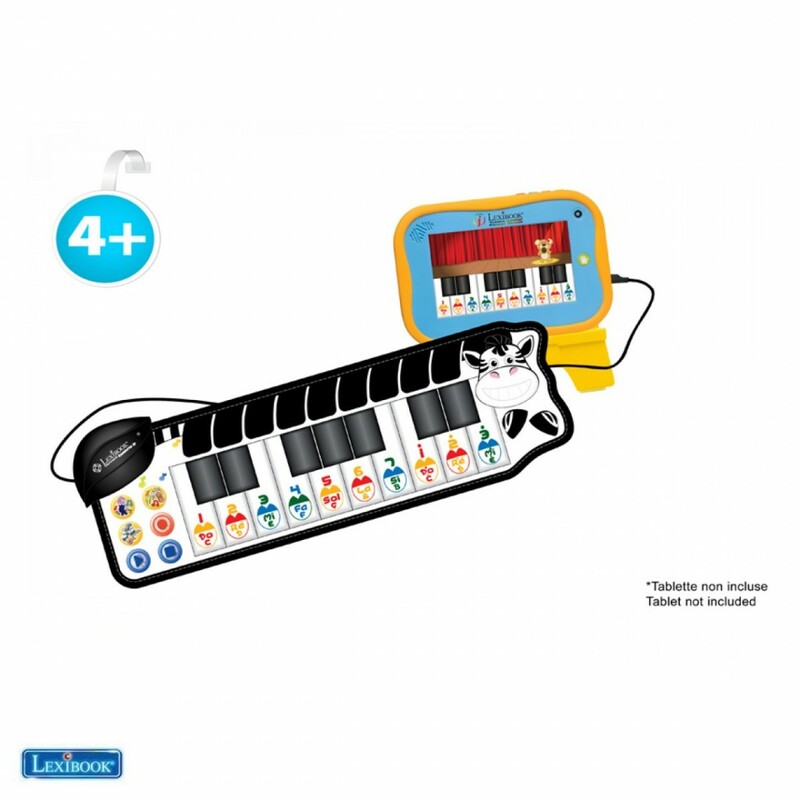 Everything you need to become a great pianist! Warning! This game is not suitable for children under 36 months. Choking hazard. 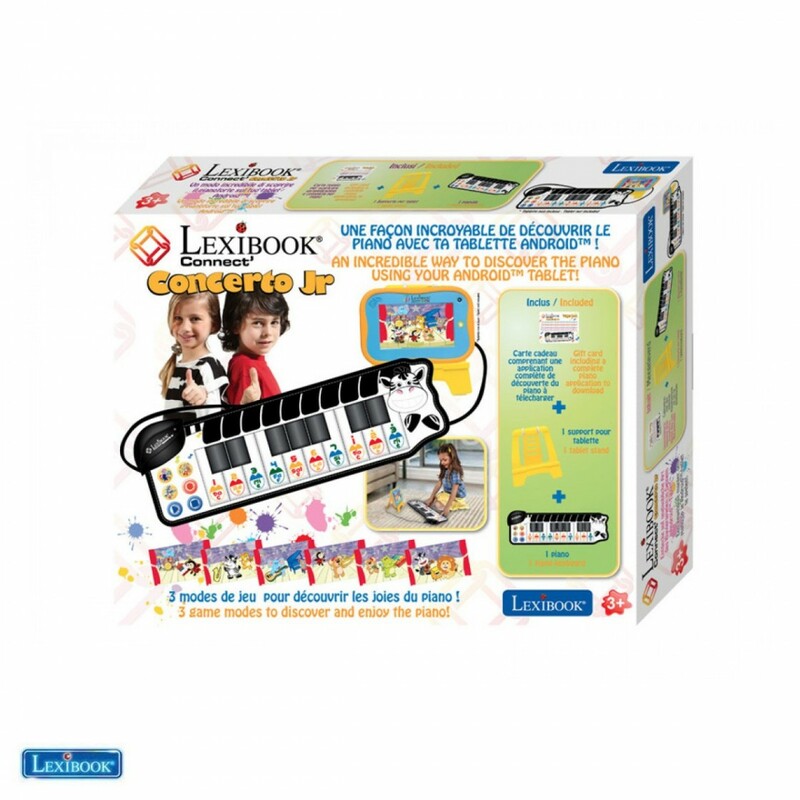 Review "Lexibook Connect Concerto Junior - as from 4 years"